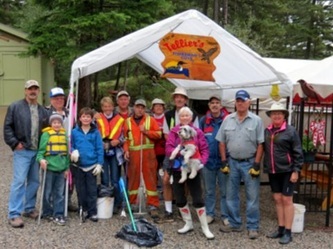 The Annual Great Canadian Shoreline Cleanup was held the morning of Saturday, September 9th, 2017. 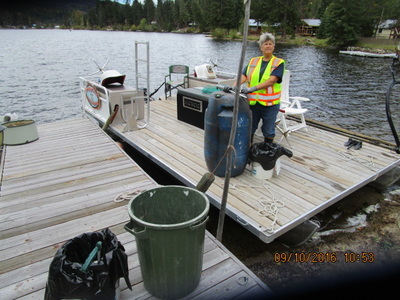 Chain Lake, Link Lake and Osprey Lake, along with the respective campsites and boat launches were cleaned as well as the KVR and adjacent roadways. 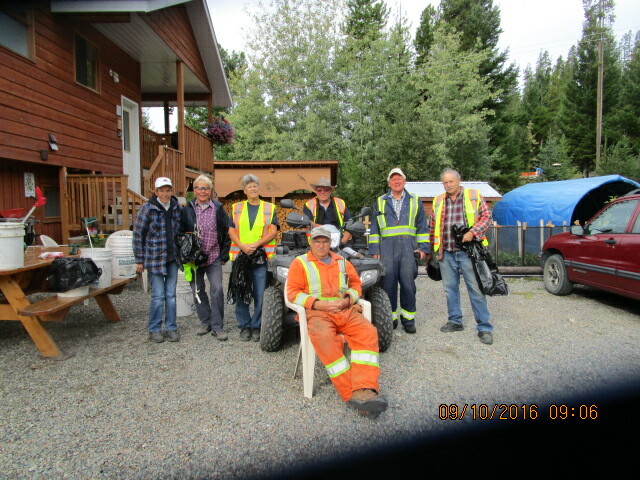 The welcomed rain started to fall just as the eleven volunteers finished collecting garbage while walking and using their boats. ​The weather was good for the great Canadian Shoreline Cleanup held the morning of September 10th. Thanks to the Quadlings, Grizers, Lynne Adams, Errol Bourgoin, Barb Anstie, and Rob Miller the job was done in two hours. 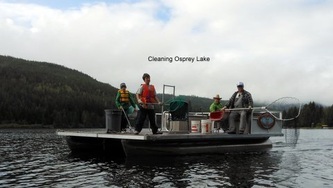 Well done residents and visitors to our area, this year was the cleanest the lakes have ever been. One large blue plastic barrel, one large board full of nails, one large steel pipe and only two bags of garbage was retrieved from the lakes and shorelines. 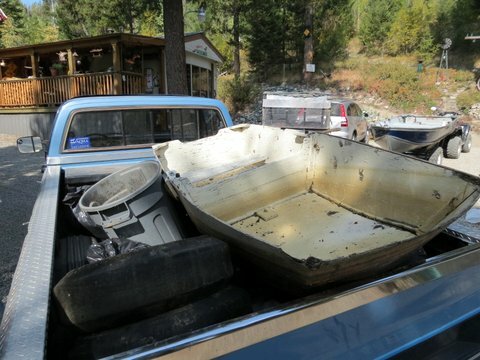 Quite a difference from years past, when both a truck and a trailer had to be used to take the collected debris to the dump. 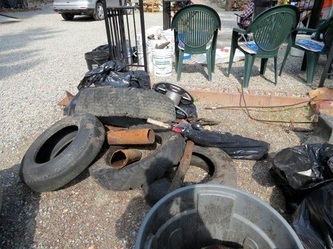 Cigarette butts still seem to be a problem, but not as many on the ground as last clean up. Only a few pop and beer containers were found, far fewer than years past. Must be that consumers of those products are getting the idea of "if you pack it in, please pack it out." Thank you for for that! 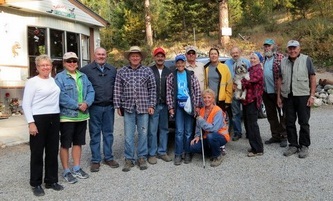 This years event was held Saturday, September 12th, 2015. We had 11 adult and 2 children volunteering this year to clean up around Osprey and Link Lakes. 200 kg of litter was picked up, sorted and taken to the Princeton Dump for recycling and garbage disposal. We are proud to have been a part of the Great Canadian Shoreline Cleanup which is the largest direct action conservation initiative in Canada. 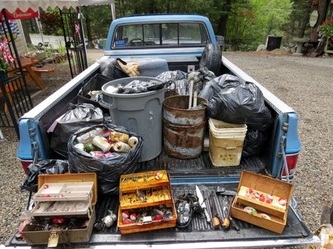 During our first year, 900 kg of garbage and items that could be recycled were collected around Osprey and Link Lakes. It was great to see the amounts of litter along our shores and roadways on the decline this year. Thanks to all that volunteered and to those of you that thanked us for our efforts. 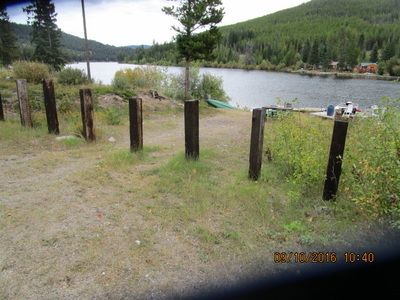 During the record low water levels of our lakes this year, we would ask those of you that own lake front properties to take a few minutes to check your shorelines for debris such as parts from old wharfs, fishing line, bottles and plastic bags etc. What is on the shore now will end up in the lake as the water rises. Cigarette litter continues to be one of the #1 forms of litter found across Canada. 95% of cigarette filters are composed of a form of plastic that does not break down and is a growing environmental issue. We urge all smokers to use containers and dispose of their cigarette butts responsibly. Please don't litter our beaches, forests and roadways.